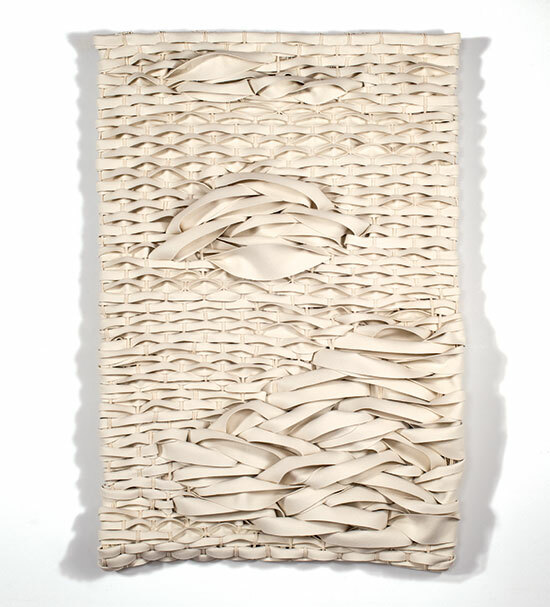 In some of her works, Brigitte Bouquin Sellès begins with false selvedge ends, produced during the manufacture of the well-known Cholet handkerchief on a loom in France. "She patiently perseveres in dismantling the work of the mechanical loom until she finds the original threads, a little tortured by the weaving. 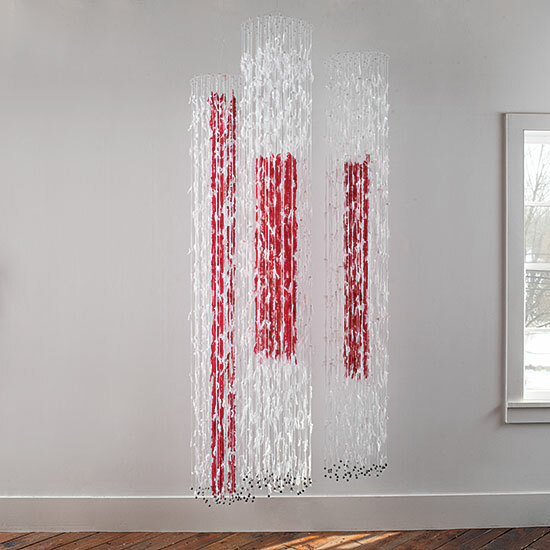 She then recomposes air pieces, moving, red and white, where the threads seem to avoid crossing each other as if not to reconnect with their past. 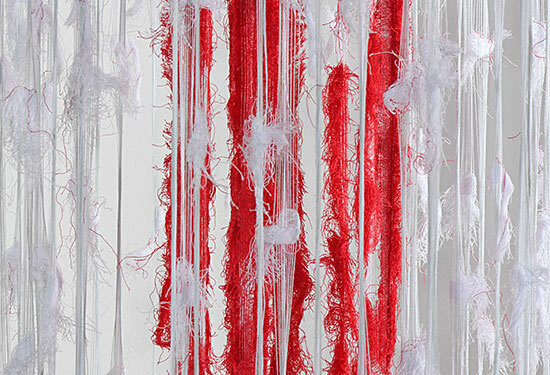 No weft, no warp, just wires, cleverly suspended." 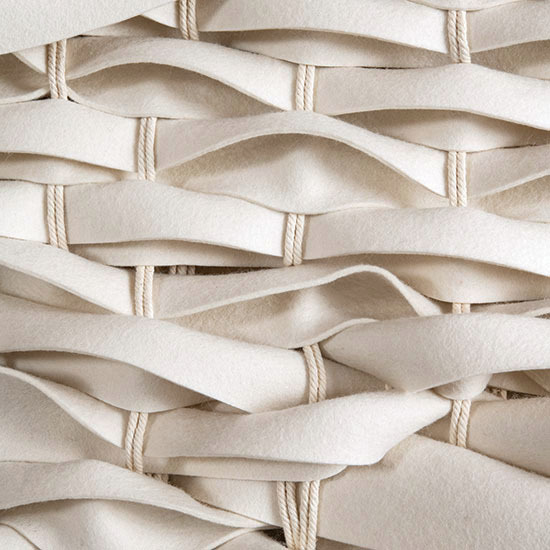 With industrial felt, a non-woven textile, a non-woven fabric, Bouquin Sellès will take the opposite approach, weaving it, giving it volume, sometimes embroidering it, including very light touches of subcutaneous color. 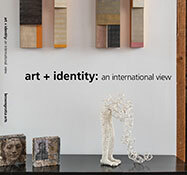 "These creations come to life through a work of deconstruction and restructuring. The work of Brigitte Bouquin Sellès thus seems to be built by antagonism between the nature of the material and the know-how that is applied to it." (Adapted from the press realize for Dé Tissage, Brigitte Bouquin Sellès, Museum of Textiles, Cholent France).